My focus in 2018 has been on better aligning my actions with my goals. It’s no secret…I have a dream of someday qualifying for the Ironman World Championships in Kona. To get myself closer to this dream, I set goals for myself at the start of each season and again before each race. Sometimes I achieve success by reaching these goals and other times I fall short, but I always learn something that can better prepare me for the next training session or race. I was on a mission this year to achieve my #sub6orbust goal at Ironman Ohio 70.3. Thanks to Steena for running stride for stride with me during the entire 13.1 mile run and pushing me those last two miles so I could achieve my goal! The #sub6orbust is no longer a dream!! Today I turned it into a reality thanks to my Coeur Sports teammate/sister, Steena, who ran with me!! This lady is such a strong, positive badass and I’m blessed and grateful to have had her by my side today!! I also set myself up to go sub 13 hours at Ironman Louisville. While I didn’t achieve this goal, I am confident that if conditions and circumstances were different on that day, I definitely would have. What have I done to better align my actions with my goals this year? I work hard! I #showup and give everything I have at that moment for each workout. Staying present + focused on the current interval, current workout, and current mindset/attitude. I recover harder! I make sure to properly rehydrate and refuel immediately post workout, sit in my Normatec Recovery boots, get a massage every 2 weeks (thanks Nick with Vitality Massage), see Dr. Chris at Team Chiropractic as niggles arise, and prioritize sleep by getting at least 8 hours EVERY night! Consuming Breakthrough Nutrition’s Goodnight formula + magnesium before bed also helps me get some solid REM + deep sleep. I #trainthebrain…I think this has brought me the most success and what I am the most proud of in 2018!! When faced with adversity, I overcame!! I truly am SO much stronger than I ever thought!! Focusing on an attitude of gratitude, keeping positive, and smiling through the pain/discomfort in training and racing has brought me huge success this year!! Attitude of gratitude…focusing on ALL things to be grateful for during highs and lows. There is always something to be grateful for…even when you are deep in the pain cave and riding the struggle bus. I have intentionally been finding things to be grateful for during training + racing. Gratitude has taken me so much farther than I ever thought possible. #believe…when you truly believe deep down to the depths of your soul, you can accomplish ANYTHING!! What additional tips do you have to better align your actions with your goals?! What have you done to better align your actions with your goals this year?! What can you do to better align your actions with your goals in 2019?! Last week I rode the struggle bus…technically it started the week before, but it only got worse last week. I’m lacking motivation, lacking self confidence, feeling overweight, feeling overwhelmed, and I’m definitely not ready to start my first day back to school tomorrow. I want off the struggle bus…or maybe it is time to drive the bus instead of being a passenger on it! Show up and do the work…you’ll always be glad you did! The struggle bus is real…sometimes I ride it longer than I’d like, but I’m still putting in the work. Saturday started with 4400 meters as a passenger on the struggle bus. Easy spinning post run to loosen up the legs! An hour easy spin…just moving the legs. After riding the struggle bus in the pool Saturday morning, I got to ride 71.9 miles. This is where I started to transition from a passenger on the struggle bus to the captain…I’m not in full control of the bus just yet, but I’m getting closer!! This Coeur Sports kit is magical…complete 180 degrees from the morning swim!! Saturday’s run off the bike was HOT + HUMID, but I nailed the plan and was super happy to finish strong!! Much needed after a big training weekend. 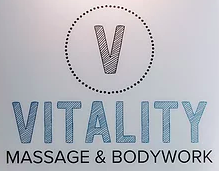 Thanks Nick at Vitality Massage for helping me stay healthy and active! A ray of sunshine during a rain storm! So many homegrown tomatoes from our garden! I am grateful to get to go outside and eat from the garden! A clean house! After spending my “rest day” deep cleaning the house in preparation for the start of a new school year, I am grateful it is done! I am grateful for my fave! He came out to check on me and take pics while I was riding on Saturday. Love my support crew + cheerleader! This! I am so grateful for my Normatec boots + home cooked meal that my fave made after a long day of swim + bike + run Saturday! How was your week? What were you grateful for last week?! What tricks do you have for turning in your passenger card for a captain’s license of the struggle bus?! The peace and quiet in the calm water is just what I needed today! Putting more hay in the barn today! Basil and Mya helped me with my strength training today!! Substitute teaching for TRX this week!! Love my girl!! So grateful for her snuggles and unconditional love!! So grateful for the post workout squeeze from my Normatec Recovery boots!! When it storms, the babies want LOTS of snuggles and to be in the basement…I’m glad I get to comfort them!! SO INCREDIBLY GRATEFUL to have Breakthrough Nutrition in my tribe!! With all of the heat + humidity lately, I’m excited to give the Preload a try!! A sweet reward for finishing my personal training recertification. How was your week? What are you grateful for this week?! How do you feel when you check a task off your “taa daa” list?! Last week’s theme was “right now!” It came to me during my Tuesday morning swim. My mind was all over the place and I knew my first set of 10×50 at zone 5 effort were not consistent. When I started the second set of 10×50 at zone 5 effort, I started singing Van Halen’s “Right Now” in my head as I swam. Guess what happened?!?! CONSISTENCY!! My 50 yard times for that set varied by less than 2 seconds for each 50. YES!! Don’t worry about the last interval, don’t worry about the upcoming interval, stay present! Focus on RIGHT NOW! Focus on “right now!” Plant your feet on the floor and move toward chasing your dreams! 3700 yard swim with 2000 yards in Z4. I am very happy with my efforts and consistency. “Right now” helped me chase my dreams! First outdoor ride this year…even if it was on the trainer! I am grateful for the warm temps + sunshine!! Never mind the 30 mph sustained winds with gusts up to 40 mph (that’s why I rode on the trainer). Hello humidity! Apparently we skipped over spring. Time to acclimate for race season! 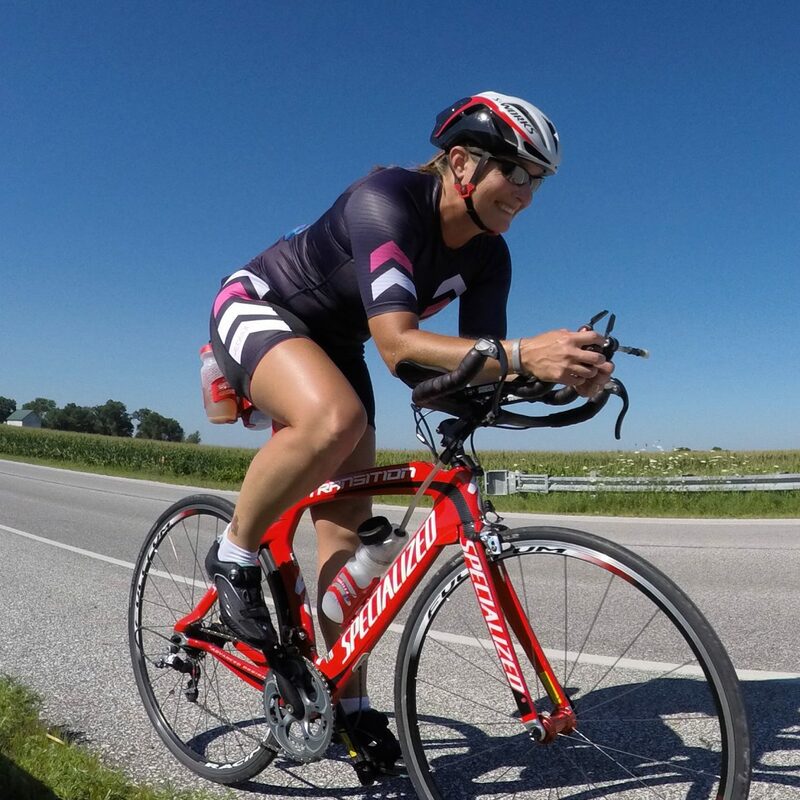 This bright pink Coeur Sports Pop Tart kit is perfect for riding on the open roads! Running off the bike in this humidity was tough! The air was thick as pea soup! “Right now” included a 30 minute run off the bike! Hello heat acclimation! 30 minutes of strength with weights…It felt SO good to be lifting weights again! Stretching out those tight hips post long run! BT Nutrition helps me recover every night! So grateful for their Goodnight formula to help me sleep better! Love this girl! Not sure why she thinks laying on the coffee table is more comfortable than her dog bed. Wearing my Normatec Recovery boots at a morning work meeting post early morning race simulation brick workout in some very thick air! Put a 2nd raised bed in the yard for veggies! When my Garmin thinks I should take 66 hours of rest before my next workout…ha ha ha! It clearly doesn’t know me very well!! How was your week?! What were you grateful for last week?! How do you use “right now” to keep you on track?! Last week my focus was on building self-confidence. Confidence as an athlete is all about believing in your abilities to achieve your athletic goals. With Coach Kelly’s help, last week I focused on more self-confidence…more believing in my abilities…more believing in me! The week started a bit rocky as I was lacking motivation and I’m not sure why, but it sure turned around quickly! I had many workouts in each discipline that boosted my self-confidence throughout the week! I finally started to see some swim pacing consistency last week! I’ve struggled with pacing in the water probably since I was a baby. I always start off too fast and then end up slowing down and finding a pace that I can swim all day long. It is good to finally get some consistency with my pacing in the water! Pacing in the water is a great way to build my confidence for race day. Work for it Wednesday started with #swimlove as I continue to #findfaster in the water! “Celebrate good times…come on!” Some #swimlove Thursday morning! I saw HUGE gains last week on the bike! I don’t think I have EVER seen watts above 350 on the bike (even for 1 second), but last week I had multiple bike interval sessions that pushed me WAY out of my comfort zone and on Thursday, I was able to hold 412 watts for 15 seconds. Say what?!?! That’s unheard of!! I’ve had to overcome some mental challenges to get stronger physically, but it is totally worth it!! I’m incredibly proud of myself for digging deep during this bike block and pushing myself to new limits. I’m also incredibly grateful to Coach Kelly for challenging me…she saw potential in me that I hadn’t yet seen in myself and I’m forever grateful to her for helping me achieve this potential! I’m getting more #trackcatstrong + confident everyday! When the challenge in front of you is bigger than you’re capable of today, you put your head down, work super hard to try to rise to the challenge, and leave a puddle of sweat the size of the Pacific Ocean on the floor under you! I was blessed to get to run with a friend twice last week! It is so nice to get to share my #runlove with others! I am also super excited to have built confidence on my run! Sunday I had a 10 mile run. The first 5 miles were at a pretty comfortable pace, but then I decided to pick up the pace and see what I had left in my legs (they were already completely EXHAUSTED from the week) to see what pace I could hold for the end of my run. Not only did I negative split the last 5 miles, but I also clocked some pretty speedy times (for me) this late in a run. My last 5 run splits = 9:28, 9:04, 8:56, 8:43, and 8:20. Say what?!?! I finished my 10 mile run on completely EXHAUSTED legs with an 8:20 min/mile pace…I’m still in shock! My morning running buddy! Hill repeats this morning! Got to run with my fave off the bike on Saturday. There was more in my legs than I thought! Grateful to have company for the first 5 miles of my long run! Thanks Robin for joining me! I had some good strength training sessions this week that helped me identify muscle imbalances in my body…guess that means it is time to get to work to overcome these imbalances! I got educated on everything NBS during a conference call on Monday night! I’m so grateful to Breakthrough Nutrition for keeping me hydrated and recovered this year! If you are looking to try a new sports hydration, give Breakthrough Nutrition a try and use code WELOVESNBS at check out for 10% off your order! I received snail mail…the best snail mail!! Snail mail is the best when Coeur Sports and Barnana show up on my doorstep on the same day! 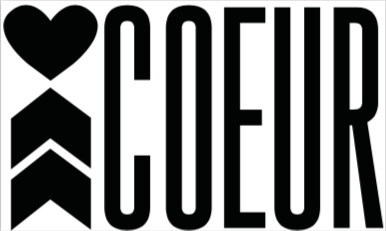 The 2017 Coeur Team was updated to their website! I’m so pumped to be part of this amazing team in 2017! This team of ladies has heart! If you see us at a race, come and get a hi-5 or a hug! I had some quiet time…salt + bubble baths are the best!! Snuggles with my baby girl! I’m so lucky to have the best fur babies!